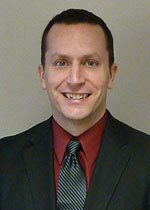 Patrick Balducci has 20 years of professional experience as an economist and project manager. He is a Chief Economist at the Pacific Northwest National Laboratory (PNNL) where he has been employed since 2001. He is currently leading the industrial acceptance areas of the PNNL Energy Storage Program. He has extensive experience in modeling the benefits of energy infrastructure and in leading research and development efforts supporting the U.S. Department of Energy (DOE) and the electric power industry. He has authored over 100 publications, including journal articles, conference proceedings, and technical reports. He is currently leading research efforts evaluating the benefits of microgrids and energy storage systems in California, Massachusetts (Northampton), Oregon and Washington. He is also leading efforts to enhance energy storage economic assessment tools for the U.S. Department of Energy (DOE). He serves as an Adjunct Professor of Business at Marylhurst University and as the President of the Pacific Northwest Regional Economics Conference’s Board of Directors. He holds a BS in Economics from Lewis and Clark College, where he graduated with honors, and an MSc in Applied Environmental Economics from the University of London, Imperial College of London. He will serve as the technical lead of the market feasibility assessment. Viswanathan V.V., A.J. Crawford, M.E. Alam, P.J. Balducci, D. Wu, T.D. Hardy, and K. Mongird. 2018. Snohomish Public Utility District: An Assessment of Battery Technical Performance. PNNL-27237. Richland, WA: Pacific Northwest National Laboratory. Balducci P.J., M.E. Alam, V.V. Viswanathan, D. Wu, A.J. Crawford, K. Mongird, and M.R. Weimar, et al. 2017. The Salem Smart Power Center: An Assessment of Battery Performance and Economic Potential. PNNL-26858. Richland, WA: Pacific Northwest National Laboratory. doi:10.2172/1406263. Balducci P.J., T.D. Hardy, D. Wu, V.V. Viswanathan, W.J. Hutton, and P.A. Craig. 2015. Washington Clean Energy Fund: Use Case Analysis Project Task 2.1 Preliminary Report Outlining Data Needs for Financial Evaluation. PNNL-24919. Richland, WA: Pacific Northwest National Laboratory. Hardy T.D., P.J. Balducci, and K. Joshi. 2015. Washington Clean Energy Fund: Controller Development Project, Task 1.1 Preliminary Report Outlining Data Needs for Controller Development. PNNL-25096. Richland, WA: Pacific Northwest National Laboratory. Balducci P.J., C.A. Antonopoulos, S.L. Clements, W.J. Gorrissen, H. Kirkham, K.A. Ruiz, and D.L. Smith, et al. 2014. Smart Grid Status and Metrics Report Appendices. PNNL-23461. Richland, WA: Pacific Northwest National Laboratory. Balducci P.J., M.R. Weimar, and H. Kirkham. 2014. Smart Grid Status and Metrics Report. PNNL-23423. Richland, WA: Pacific Northwest National Laboratory. Balducci P.J., C. Jin, D. Wu, M.C. Kintner-Meyer, P. Leslie, and C. Daitch. 2013. Assessment of Energy Storage Alternatives in the Puget Sound Energy System. PNNL-23040. Richland, WA: Pacific Northwest National Laboratory. Wu D., C. Jin, P.J. Balducci, and M.C. Kintner-Meyer. 2013. Assessment of Energy Storage Alternatives in the Puget Sound Energy System Volume 2: Energy Storage Evaluation Tool. PNNL-23039. Richland, WA: Pacific Northwest National Laboratory. Kintner-Meyer M.C., P.J. Balducci, W.G. Colella, M.A. Elizondo, C. Jin, T.B. Nguyen, and V.V. Viswanathan, et al. 2012. National Assessment of Energy Storage for Grid Balancing and Arbitrage: Phase 1, WECC. PNNL-21388. Richland, WA: Pacific Northwest National Laboratory. Widergren S.E., M.L. Paget, T.J. Secrest, P.J. Balducci, A.C. Orrell, and C.N. Bloyd. 2011. Using Smart Grids to Enhance Use of Energy-Efficiency and Renewable-Energy Technologies. PNNL-20389. Richland, WA: Pacific Northwest National Laboratory. Kintner-Meyer M.C., P.J. Balducci, C. Jin, T.B. Nguyen, M.A. Elizondo, V.V. Viswanathan, and X. Guo, et al. 2010. Energy Storage for Power Systems Applications: A Regional Assessment for the Northwest Power Pool (NWPP). PNNL-19300. Richland, WA: Pacific Northwest National Laboratory. Kintner-Meyer M.C., T.B. Nguyen, C. Jin, P.J. Balducci, and T.J. Secrest. 2010. "Impact Assessment of Plug-in Hybrid Vehicles on the U.S. Power Grid." In Proceedings of the 25th World Battery, Hybrid and Fuel Cell Electric Vehicle Symposium & Exhibition, November 5-9, 2010, Shenzhen, China. Golden, Colorado:National Renewable Energy Laboratory. PNNL-SA-74948. Pratt R.G., P.J. Balducci, C. Gerkensmeyer, S. Katipamula, M.C. Kintner-Meyer, T.F. Sanquist, and K.P. Schneider, et al. 2010. The Smart Grid: An Estimation of the Energy and CO2 Benefits. PNNL-19112 Rev 1. Richland, WA: Pacific Northwest National Laboratory. Pratt R.G., P.J. Balducci, C. Gerkensmeyer, S. Katipamula, M.C. Kintner-Meyer, T.F. Sanquist, and K.P. Schneider, et al. 2010. The Smart Grid: An Estimation of the Energy and CO2 Benefits. PNNL-19112. Richland, WA: Pacific Northwest National Laboratory. Scott M.J., O.V. Livingston, P.J. Balducci, J.M. Roop, and R.W. Schultz. 2009. ImSET 3.1: Impact of Sector Energy Technologies Model Description and User's Guide. PNNL-18412. Richland, WA: Pacific Northwest National Laboratory. Balducci P.J. 2008. Plug-In Hybrid Electric Vehicle Penetration Scenarios. PNNL-17441. Richland, WA: Pacific Northwest National Laboratory. Balducci P.J., L.A. Schienbein, T.B. Nguyen, D.R. Brown, and E.M. Fathelrahman. 2004. "An examination of the costs and critical characteristics of electric utility distribution system capacity enhancement projects." In IEEE PES Power Systems Conference and Exposition, 2004. Oct. 10-13 2004, 1, 517. Piscataway, New Jersey:Institute of Electrical and Electronics Engineers (IEEE). PNNL-SA-39782. Schienbein L.A., P.J. Balducci, T.B. Nguyen, D.R. Brown, J.G. DeSteese, and G.A. Speer. 2004. "Avoiding Distribution System Upgrade Costs Using Distributed Generation." In DistributTECH Conference and Exhibition 2004, January 20-22, 2004, Orlando, Florida, 26 pages. Tulsa, Oklahoma:PennWell Publishing. PNNL-SA-39886. Balducci P.J., J.M. Roop, and R.A. Fowler. 2003. "EIA and CHP: What is going on?." In Proceedings. 2003 ACEEE Summer Study in Efficiency in Industry : Sustainability and Industry: Increasing Energy Efficiency and Reducing Emissions, CD-ROM. Washington, District Of Columbia:American Council for an Energy-Efficient Economy. PNNL-SA-38279. Balducci P.J., J.M. Roop, L.A. Schienbein, J.G. DeSteese, and M.R. Weimar. 2003. "Electric Power Interruption Cost Estimates for Individual Industries, Sectors and the U.S. Economy." In Proceedings of 25th National Industrial Energy Technology Conference, 109-118. Houston, Tx:Texas A&M. PNNL-SA-37958. Young J.K., M.R. Weimar, P.J. Balducci, L.L. Fassbender, and M. Hernandez. 2003. Tank Riser Pit Decontamination System (Pit Viper) Return on Investment and Break-Even Analysis. PNNL-14308. Richland, WA: Pacific Northwest National Laboratory. Balducci P.J., J.M. Roop, L.A. Schienbein, J.G. DeSteese, and M.R. Weimar. 2002. Electric Power Interruption Cost Estimates for Individual Industries, Sectors, and U.S. Economy. PNNL-13797. Richland, WA: Pacific Northwest National Laboratory.